Have you ever joined an office pool and tried to predict the gender, birthday, and birth time of a newborn? This website gives you an easy, interactive way to participate and join in the fun of the baby guessing game. And it's completely free! 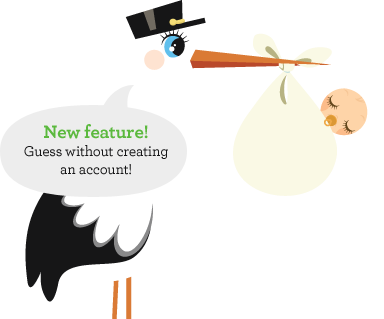 WhatsInMyBelly.com allows you to set up a baby pool and invite friends and family to join in. Think of it as a combination of fantasy football and childbirth. Can you tell we love numbers?